Well, hyper-threading is often a known issue when Firefox crashes. Firefox 4 does not seem to support all motherboards that have this function and it causes Firefox to hang when it attempts to load its first window. So, what computer users may have to do is to search for the latest update of BIOS designed for their particular motherboard. Or, for an alternative if the users are running Windows 2000 or a later version, they can right click the Firefox shortcut and open the Properties window. There, they can choose to run the browser in compatibility mode for Windows XP or Vista. Another factor that may also cause the popular web browser to fail to load its first Windows is irresponsive Firefox running in the system background. When this is the case, users will always see a message telling them to close it. Well, to fix this problem, users will have to bring up Task Manager – by pressing Ctrl+Alt+Del – and end all processes related to the application. 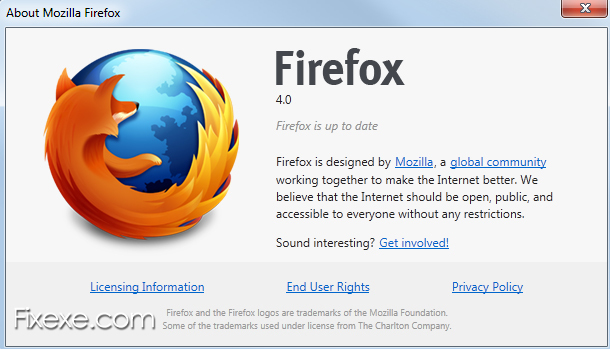 Firefox may also experience a delay or hang when users resume the computer from standby mode. This may often be caused by a high CPU usage or an outdated version of Flash player. So, updating the Flash player or reducing CPU usage may well solve the problem. However, closing Firefox before activating standby mode is far more preferable apparently. However, here is great online plugin check tool, where you can see what of your Firefox plugins are outdated and simply upgrade them with a mouse click. When it is downloading files, Firefox may also hang. To solve this issue, users will need to clear the download history that resides in the browser. Or, they can also try setting a new download location. The point is to make the browser lose track of the former downloads. When users really like Firefox 4 and has used it for browsing a lot of sites at once, which means there may have been bunches of tabs or windows open in Firefox, they may cause the browser to hang. To solve it, users will have to reduce the tabs or windows because they use up system resources. Holy Crap!!! It was that easy!? Wow. I’ve dealt with this for months wohuitt taking the time to Google for a solution. Now, 5 minutes later it’s fixed. Well, I feel stupid, but quite grateful to you for posting the solution. Thanks!